Palate/Finish: Full, soft, and very savory. Traces of mushroom & liquorice, with a long evolving finish. 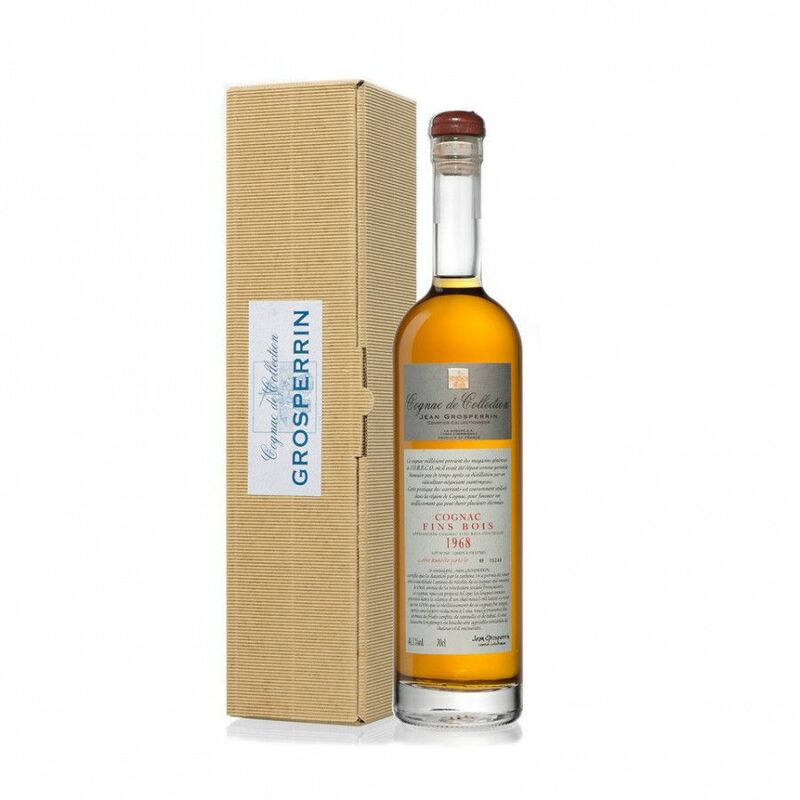 The Grosperrin Vintage 1968 Fins Bois Cognac offers an intense, fruity taste profile, and one that will delight both the connoisseur and the novice Cognac drinker alike. The artisan house of Grosperrin has excelled itself with this vintage year Cognac. It represents all that is great about the terroir of Fins Bois, not to mention being a little piece of history, starting life in the same decade that the hippy movement was in full swing in the western world. Grosperrin is certainly a unique producer. They don’t actually make their own eau-de-vie, but purchase barrels that they then age to bring millessime (vintage), single regions Cognacs to market. Many of these are at cask strength, and this one is of no exception, and is presented at 41.2% ABV. The barrels containing this unique eau-de-vie were stored in Grosperrin’s warehouses in Barbezieux, and aged in the ideal damp conditions necessary to bring it to perfection. The result is a Cognac that brings us a wonderfully distinct taste experience, with the lightness of pepper and lemon combining with the mushroom, earthy tones of rancio that’s only found in truly well-aged Cognacs. This delicious vintage is best enjoyed neat, and when you have the time to sip, contemplate, and allow its evolving aromas and palate to take you on its long tasting journey.